Avocado toast — a term that, we’re certain, you immediately associate with millennials. After all, how could you not? 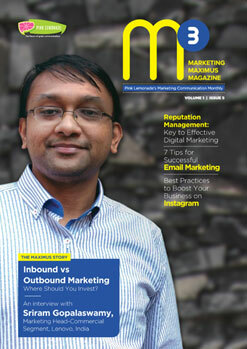 It’s the buzzword in the marketing industry! 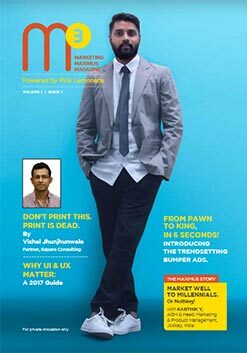 Article after article has tried to understand and define this demographic and how to market to them. But, in this millennial haze, we’ve perhaps forgotten another emerging demographic — Gen Z. If you don’t know who they are, well, here’s the scoop. Gen Z are those born between 1995 and 2012 — in effect, most of them are probably in their teens, or younger (on the other hand, the oldest millennials are pushing 40). The pressing question is though, why are these youngsters important to marketers? After all, they’re yet to have independent purchasing power! Gen Z will account for an astounding 40% of all consumers by 2020. In fact, a Barkley1 report estimates Gen Z’s earnings to be close to $153 billion already, with overall spending of almost $100 billion. Considering that a Nielsen2 study shows millennial spending to be about $65 billion, these numbers are mind-boggling. Do you need a bigger reason to start thinking about how to tweak your branding, marketing, and communication strategies? You shouldn’t! While millennials are also highly active on social media, Gen Z takes this to the next level. Research shows that while Gen Y is looking at three screens simultaneously, Gen Z is looking at as many as eight. And needless to say, the old-school TV isn’t one of them. They might be on five different apps while using their smartphones. 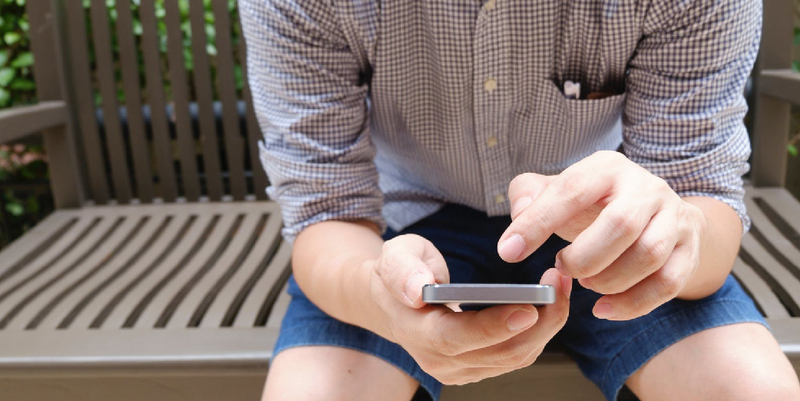 Usually, these apps are more visual and take little time to use, such as Snapchat, 9GAG, and even Tinder. So, think beyond Facebook and meet your target group where they are — on apps like Instagram, Twitter, Tumblr, and more. The average Gen Z consumer is exposed to about 200,000 marketing strategies by the time he or she turns 15. Obviously, they learn to filter the meaningless ones out quite quick. Coupled with their minimal attention span (eight seconds), the best route for marketers to take is visual. Big players like Starbucks, Oreo, and Fiat have used GIFs in their social media interactions and garnered a massive response. This doesn’t come as a surprise, since they’re more interesting than static images, cheaper than videos, and short enough to hold Gen Z’s attention. So, cut down the content and focus on telling a visual story. Gen Z is looking for realness — which is why, they’re less likely to trust a celebrity endorsement. Instead, focus on word-of-mouth, or better yet, opt for influencer marketing. It’s simple — Gen Z will trust someone they can relate to. As an extension of authenticity, Gen Z is looking for brands that think beyond money-making. When brands compensate for the environmental and socio-economic fallout of their operations, Gen Z will be more likely to buy into the brand philosophy. Case in point: H&M. The Swedish fast fashion brand (popular with young consumers) faced intense backlash in January 2018 when photos of a black child wearing a sweatshirt reading ‘coolest monkey in the jungle’ went viral. Widely perceived as insensitive and racist, it seemed there was no coming back for H&M. However, the very next month, it released a ‘sustainable’ fashion line, making clothes out of nylon waste. It’s also gone a step ahead and conducted racial sensitivity training — there now seems to be hope that the brand will slowly be back in Gen Z’s good books. All this might sound a bit overwhelming, but we promise you it’s not. All you need to do to appeal to Gen Z is be authentic, go digital, and be mindful of your social responsibility. Isn’t that what you should be doing anyway? Discounts on spa services, special offers on makeup, greeting cards with empty messages — every year, brands employ these tired tactics on International Women’s Day. In 2018, however, things had to be different. Why? Last year, as sexual harassment accusations broke against one of Hollywood’s most powerful men, it unleashed a wave of outrage. The #MeToo and #TimesUp campaigns were a result of that fury, bringing widespread gender stereotypes, sexual harassment, and workplace inequality to the forefront. So this year, thanking women for their care, lauding their ‘sacrifices’, or praising their beauty just wouldn’t cut it. This has given brands a chance to use IWD to launch thought-provoking, meaningful initiatives to assert that women are equal, powerful, and resilient enough to rise above prejudice. Let’s look at five brands who did just that. “Why have there been so many male presidents, but so few women?”, asks a little girl dressed as a politician in Vodafone’s short film for IWD, 2018. In the same vein, little girls portraying mothers, engineers, and directors, ask piercing questions on gender inequality. What’s so refreshing about this short, yet powerful film, isn’t just the tough questions being asked — it’s the refreshingly different portrayal of little girls, their innocence and intelligence. These were effectively used as a vehicle to spark a debate about the roles women are ascribed, often unfairly. Released in the midst of the 2018 Oscars, this video includes a series of clips that show Serena Williams dominating tennis courts over the years. In a powerful voiceover, Williams lists the sexist criticism she has heard over the years. There’s no mistaking her message, as she talks about the misogynistic fault-finding she has dealt with throughout her career. In a clip that commands your attention, Nike and Serena do a brilliant job of emphasizing an essential fact: that a woman can be whatever she wants to be. In 2017, Spotify revealed that none of the top 10 most-streamed tracks of the year were by women. 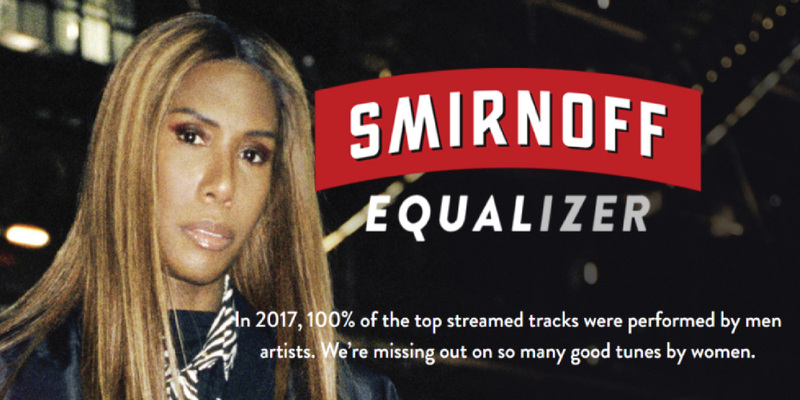 So on IWD, Smirnoff and Spotify launched an Application Programming Interface (API), called Smirnoff Equalizer, that reveals the ratio of male to female artists a user has listened to in the last six months. This initiative gives music lovers an innovative platform to analyze their gendered listening habits, and maybe even some inherent biases. Most importantly, it creates a perfect platform for the expression of women’s voices, in more ways than one. In a beautiful short film shot in the city of Kolkata, we follow the journey of a little girl, Paro, who discovers her talent for storytelling. The film has a nostalgic, almost old-world vibe that takes the viewer back to his or her childhood. With this simple, moving, and relatable tale, HP hits the mark here, by subverting the common representations of little girls — encouraging the celebration of talent. This compelling video starts off with common, sexist questions asked to female celebrities — eg. “were you able to wear undergarments?” Popular slam poet Pooja Sachdeva then uses this as an entry point to talk about the blatant sexism in sport. Highlighting the sexism female athletes constantly face (“Who’s your favorite male cricketer, Mithali Raj?”) she underscores issues faced by women in sports, such as unequal pay and limited media attention. Slam poetry has become increasingly popular in recent years, especially among millennials — and Adidas capitalized on this trend to effectively bring forth the important issue of gender discrimination in sport. These were the Women’s Day campaigns that checked all the right boxes. Underlying each of these five campaigns is a key message, more relevant now than ever before — that females are a force to be reckoned with. That woman can do, be, and achieve anything they put their minds to. These brands are sparking a revolution, one campaign at a time. Besides being one of the most recognized names in science, Stephen Hawking is the only academician to achieve the status of a cult figure. A number of brands were quick to take notice of his seamless cross-over from science to pop culture and capitalized on it to boost their popularity. 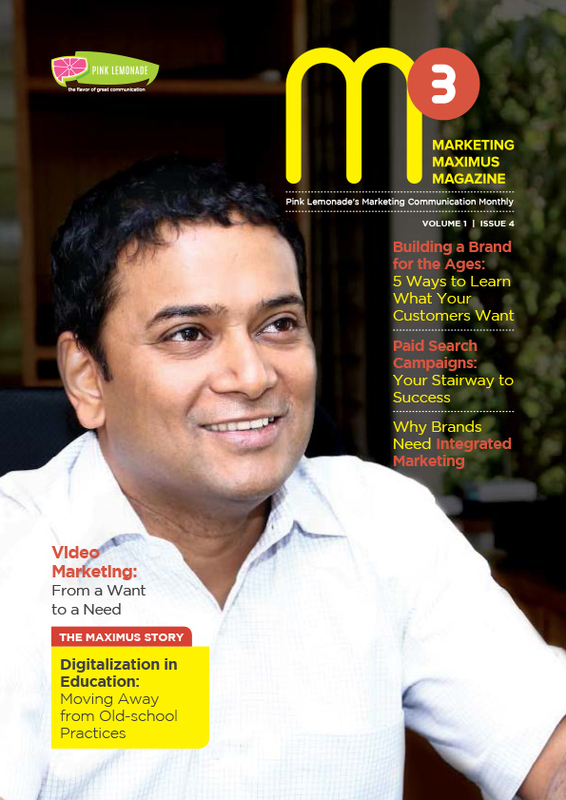 So, let’s take a closer look at how some eminent brands leveraged his immense star power to set themselves apart. Comic Relief, a well-known UK-based charity, released a hilarious video last year to promote their annual fundraising campaign, Red Nose Day. And the way the brand portrayed Hawking’s famed wit and dry sense of humor caught the eye of the audience. Hawking, who had the same computerized voice for over 30 years, watches videos of celebrities such as Liam Neeson, Stephen Fry, and Gordon Ramsay desperately auditioning to be his ‘new voice’. In his typical self-deprecating style, Hawking concludes, “I’m pretty happy with my new voice though, I think it’ll give my lectures a bit more oomph.” Needless to say, Comic Relief’s decision to feature the who’s who of the entertainment industry created widespread awareness and long-lasting brand recall. Hawking was a living, breathing example of a person who was not just living with disability, but also achieving greatness,enabled by Intel’s innovations. In this short film by, we see the world-renowned scientist talking about his two decade-long connection with Intel. 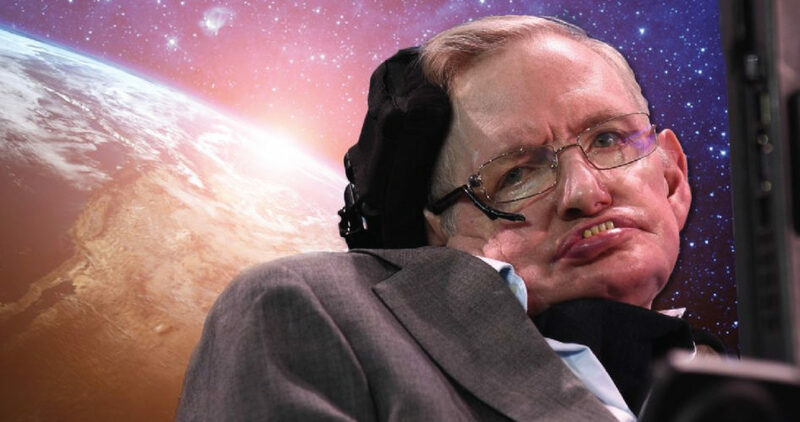 Hawking expresses his gratitude by acknowledging how the brand allows him to do what he loves every day, considering he lost his ability to speak over thirty years ago. The film was a masterstroke by the Intel, which featured Hawking to establish itself as a leading player in assistive technologies. The advert for Jaguar’s F-PACE SUV opens with a young man driving through the mountains to meet his master— Stephen Hawking. The entire advert has a Bond-esque feel, and was part of Jaguar’s British Villains campaign that was launched at the 2014 Super Bowl. While most automobile brands would typically want ‘heroes’ as their ambassadors, Jaguar embraced Britain’s most well-known evil-doers. Its previous adverts featured popular actors like Sir Ben Kingsley,Tom Hiddleston, and Mark Strong. But in a surprising twist, scientist Hawking is introduced as the ultimate mastermind — a clever move that set Jaguar apart from its competitors. In a 1994 ad for BT — an international communication company working in the broadband, phone, TV, and mobile space — Hawking highlights the power of speech, saying “mankind’s greatest achievements have come about by talking”, and its greatest failures often come from “not talking”. The ad was a major boost to the communication company, as Hawking leveraged BT’s technology as the path to a flourishing future. What’s more, the ad remains exceptionally memorable since it inspired Pink Floyd to include Hawking’s voice on a track from their cult 1994 album, Division Bell. A film for British optical retail chain Specsavers, depicted the scientist being flown around the solar system. While gazing at the earth and the moon, Hawking speaks of the importance of vision, saying, “I had always hoped to see this in our lifetime. I have been wondering about the mysteries of the universe since I was a child.” The ad was written and directed by Specsavers’ then in-house creative director, who remarked that a personality like Hawking helped bring gravity to a subject most people take for granted. Moreover, his endorsement did wonders for the brand, as the film became the most-recalled TV advertisement for weeks in the UK when it originally ran. The world of science lost one of its brightest stars on March 14, 2018. While Hawking’s brilliant contributions to physics will ensure he lives on for generations, his iconic status in pop culture cemented his place in the universe of advertising as well. Nike, McDonald’s, Apple – these brands might be completely different in their offerings, but they have one thing in common – brilliant logos. From the swoosh to the bitten apple, these logos are recognizable worldwide, helping the viewer associate with the brand instantly. But what makes such a logo? 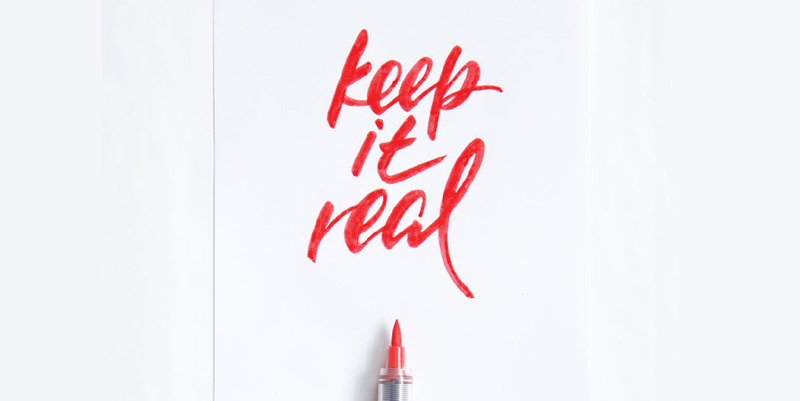 What makes a brand reel in fans with just a symbol? A great logo should convey the brand’s intended message and connect with the target audience, all without much effort. It’s no wonder then, that companies spend millions on developing one! Want to know more? Let’s dive right in. It is a symbol, graphic mark, or emblem adopted by an organization to help the target group identify its products or services. It sounds simple, but in reality coming up with an effective logo is an arduous process – starting from research to draft production. However, the effort is worthwhile, because good groundwork lays the foundation for a strong logo. Your brand’s logo is present on your website, products, and business card. It is the first thing potential customers notice, and for many, the logo is the brand. It stands for the brand’s values, and can also be inspired by something the founder holds dear. In effect, to the outside world, your logo is the visual keystone of your brand and that’s exactly why you should invest in developing a good one. People are attracted to good design and color, and an effective logo successfully incorporates both. Say there are two big supermarkets on the same street, which one would you go to? Most likely, you will walk into the one with the most eye-catching logo. Hence, the logo adorning your business cards or storefronts should ideally create curiosity and interest in your product or service. Better yet, it should be good enough to convert that interest into sales. There are certain symbols that have come to represent certain industries over time. For example, coffee shops and brands will generally have either coffee beans or a steaming cup of coffee as part of their logo. It certainly gets the message across, but doesn’t stand out among other coffee brands. This is where Starbucks got it right – its iconic Siren/Mermaid logo is unlike that of any other coffee shop, and is hence recognizable worldwide. A brand’s logos appears on multiple platforms — billboards, automobiles, packaging, and social media, to name a few. If your logo appears inconsistently across these platforms, it can damage your recall value. Ensuring that your brand is represented correctly and clearly everywhere helps you maintain consistency and increase brand loyalty. A simple logo design is easily recognized, while being versatile and memorable. It must be unique, without being overdrawn or complicated. A reﬁned and distilled identity is meant to catch the someone’s attention as they drive by, browse store shelves, or when they interact with any other form of brand promotion. Nail this aspect, and your brand’s logo could match the popularity of Apple, McDonald’s, or Nike! A great logo must make a quick and lasting impression – this is especially difficult considering that consumers are bombarded with hundreds of logos every day. So, following from the previous principle, steer clear of overly stylized designs because simple logos are easier to remember. Once a person looks at the logo, he/she should be able to describe its basic elements effortlessly. McDonald’s is a great example of a memorable logo — ask anyone what it is, and they’ll tell you about the world-famous golden arches. An effective logo is modern as well as timeless. Steer clear of ‘trendy’ components in your design — trends come and go over time, and if you use them, you run the risk of your brand coming off as dated. Integrate contemporary features that will stand the test of time. One of the best examples of a timeless logo is Coca Cola. Compare it to Pepsi’s logo, and you’ll see that it has undergone only minor changes since 1885! That’s the mark of a timelessness — a logo whose essential elements remain constant, with small tweaks if needed. A good logo should be suitable for a variety of mediums (t-shirts, pens, billboards etc.) The logo should therefore be designed in vector format so it can be scaled to any size, as well as in horizontal and vertical formats. Logos might also be printed in a single color — so it’s a good idea to work initially in black and white. Apple’s logo is as versatile as they come — it’s adaptable to different platforms, colors, and sizes. The positioning of the logo should be appropriate for its intended purpose. For example, if you are designing a logo for a brand of children’s toys, you should probably use a childlike, youthful font and color scheme. Also, a logo doesn’t need to show the brand’s product or service. For example, car logos don’t need to show cars, computer logos don’t necessarily need to show computers. The Harley Davidson logo isn’t a motorcycle, nor is the Nokia logo a mobile phone. A logo is purely for identiﬁcation – it can be subtle, and still communicate what it intends to. Your brand deserves recognition, be it in London, Paris, or Tokyo – so think about its ethos, the message you want it to send, and the services it has to offer. Then, jump right in and go for a timeless logo that expresses exactly that. We promise you, it’ll grab eyeballs, be it on a billboard or a brochure! Want to increase your sales? Get started with Predictive Analytics. Say you have a party to attend this weekend. You buy yourself a dress on Amazon, and immediately the website recommends a range of shoes that would go with it. The next time you login, you are shown a number of dresses similar to the one you bought earlier. How was Amazon so quick to understand and estimate your taste? The answer is predictive analytics. 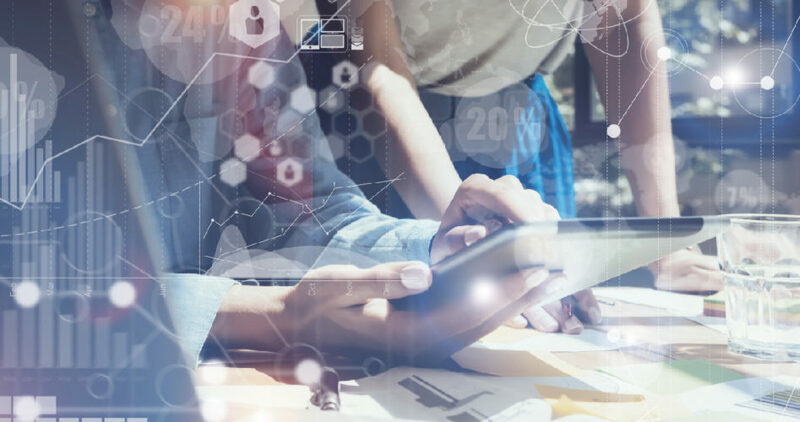 While certain businesses such as online retailers and streaming services like Netflix have already hopped onto the predictive analytics bandwagon, an increasing number of enterprises are realizing its role in analyzing and predicting consumer behavior. Your competition is already doing it. Here’s why you should too. Predictive analytics implies the use of data, statistical algorithms, and machine learning to identify possible future outcomes on the basis of historical data. Let’s see how your business can benefit from this handy tool. Research shows that approximately 54% of forecasted deals don’t see the light of day. Predictive analysis solves this problem by identifying correlations via internal and external data sources, to predict which prospect is more likely to close a deal. For example, in an upselling marketing campaign, predictive analytics can identify customers who are most likely to buy your product. This helps you to target them with special discounts and features. Improved insights into potential sales enables businesses to plan targeted marketing campaigns. 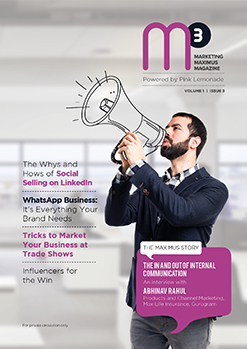 Having these insights into purchasing behaviour implies you can tweak your messages and communication channels accordingly. Predictive analytics can tell you how certain kinds of marketing (such as coupons or free trial) have been effective in converting specific types of users in the past. Basis this data, you can then develop offers that appeal to customers that have a high prior conversion rate. According to InsideSales, 35-50% of sales go to the vendor who responds the earliest. You can use real-time predictive lead scoring to identify which potential customers to call first, thereby increasing your conversion rate. Sounds complicated? Let’s break it down for you. A predictive analytics model is supposed to answer a business question — so you need to describe what you hope to achieve in simple, professional language. A clear objective outlines your project, and provides you with an accurate measure of its success. The next step involves determining whether the available data can either support the original or slightly modified objectives. Predictive models use historical data, which is usually spread across sources. So, you will need to select, cleanse, and transform information that is relevant to your defined objective. Split your data into training and test data sets, because results based on only training data will be unconvincing to an experienced observer. The predictive analytics model will be based on the training data set, and the test partitions provide accurate assessments of the performance of the models. Develop the initial model through sampling and data mining techniques, and put them through stability analysis and cross validation. Once this is done, evaluate whether these models suit your project’s goals and requirements. Apply your framework to your business — implement a scoring system so that the model can be applied to new data that does not have a dependent variable. Embed your model into business applications to automate decisions and processes. Also, keep in mind that frameworks may become irrelevant after a certain period of time. Keep your model up to date by integrating new data. Predictive analytics in businesses provide major increase in leads and sales. With time, it will soon become an integral part of the everyday processes of an organization. So, capitalize on this tool early to boost sales and stay above the rest! Marketers today, in an attempt to widen their consumer base, create ‘for men’ and ‘for women’ versions of the exact same product. And from colors to taglines, both are marketed very differently. Take razors for instance – most of us would agree that all razors function the same way. But women’s razors are unnecessarily styled slimmer and in pastel shades — additions like ‘curve hugging’ blades and ‘moisture strips’ also make them more expensive than the ones men use. But razors are just the tip of the iceberg. Even everyday commodities like pens are marketed differently to men and women. A few years ago, the stationery brand BIC released a range of pens… for women! These were described as having a ‘sleek pen silhouette’ and ‘jeweled accents, quickly becoming the subject of intense ridicule. Further, certain products (read: energy drinks, diet sodas) are also marketed exclusively to either men or women based on whether they are perceived as ‘masculine’ or ‘feminine’. A study published by Health Psychology suggests that the more a man buys into masculine ideals, the more he believes that energy drinks make him manly. On the other hand, soda companies have traditionally marketed their ‘diet’ variants to young women, capitalizing on their insecurities about weight. However, diet drinks are now being marketed to men as well – but as ‘zero calorie’ beverages as men perceive the word ‘diet’ as feminine. Now, don’t get us wrong. It is true that certain products need to marketed to a certain demographic – like sanitary napkins to women – but the marketing industry has exploited gender stereotypes for far too long. Cornflakes, for instance, will almost always depict a mother serving her son; we’ve all seen the classic image of a ‘mother’ or a young boy holding a bowl. And perhaps it used to be true that the woman who stays home has the primary responsibility of child care; however, it’s 2018. Stereotypes are being questioned and gender roles are evolving. Why not have an advertisement with a husband and wife enjoying a bowl of cornflakes before they both go to work? Or maybe the husband and wife making breakfast for their kids together? And while we’re at it, let’s remember that little girls like cornflakes too. The advertising industry is one that has immense influence over consumers. And reassessing gender in marketing isn’t just a social responsibility — it’s also good for business. A recent Fawcett Society survey of 8,000 adults found that consumers no longer want to be boxed in by retailers on gender issues. Respondents, especially younger demographics, called for an end to the marketing of products specifically towards males or females, arguing that this enforced gender stereotypes. 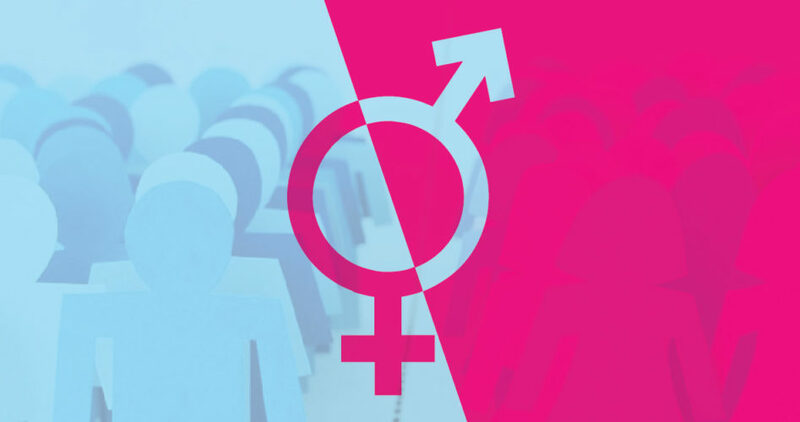 According to a report by the Innovation Group at J. Walter Thompson, 56 percent of consumers between 13-20 say that someone they know uses gender-neutral pronouns, significantly more than the 43 percent of millennials who do. 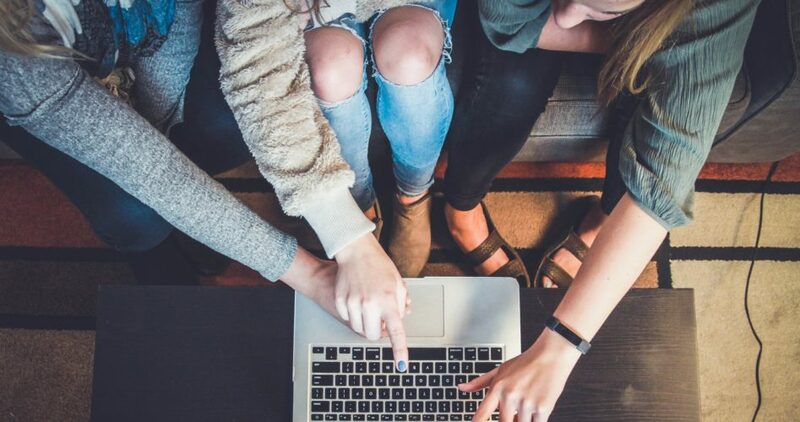 Gen Z will account for 40 percent of all consumers by 2020, so the marketing industry can’t afford to ignore their opinions. However, change is on its way — in 2016, international cosmetics giant CoverGirl appointed a male ambassador for the first time in the company’s history. A controversial move for some, but it shouldn’t come as a surprise. We’re recognizing that individuals can choose their gender identity, and some individuals may not agree with the gender they were assigned at birth. In the midst of this shift, makeup no longer remains a woman’s domain. Earlier, in 2015, discount retailer Target decided to eliminate gendered labeling in several store departments — a welcome move, considering we can no longer tell individuals what clothes to wear, which shower gel to use, or toys to play with based on their gender. 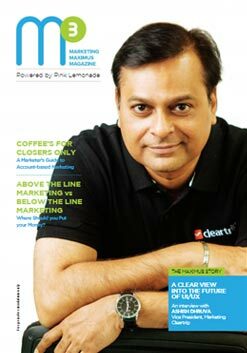 Closer home, Havells was one of the few brands to get gender right. A series of advertisements for its home appliances used sarcasm and humor to assert that women aren’t just trophy wives that happen to take care of the home. In 2016, Nike’s first India ad celebrated women in sport. The ad included an electrifying soundtrack complementing the powerful women it featured. It was a revolutionary move, a major sports brand finally acknowledging that sports was never meant to be just a man’s world. We still get it wrong though. Ads that attempt to break stereotypes often end up reinforcing them. Take for instance, an Airtel ad where the wife is shown as the boss at work, but still goes home to cook for her husband, proving that she’s still a good homemaker. However, all is not lost. As a race, we’re slowly realizing that women are more than their bodies, that gender could mean so many different things, and that individuals are so much more than their gender identities. So, change is on its way, albeit very slowly.